Belize Tours are for every type of traveller searching for their next big adventure. This amazing country definitely lives up to the old saying that ‘good things come in small packages’. 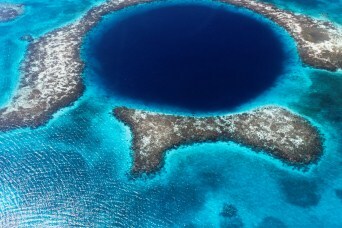 Belize tours are the best way to discover this small, hospitable and stunning Latin nation. For the history buffs, the interested and the adventurous, Belize offers a strong Mayan culture and influence, and amazing natural attractions. This is a country that is guaranteed to please every traveller to her small but rich and vibrant nation. Belize is recognised as having both the largest cave system in Central America as well as the largest barrier reef in the western hemisphere. 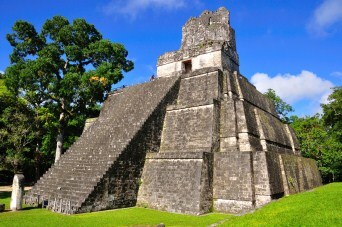 Belize travel adventures with Eclipse provide you with the opportunity to explore the Cayo District which encompasses a large portion of the Maya Mountains including a range of ancient Mayan sights full of history and mystery. Paddle your canoe into, and be dazzled by, the glistening crystalline formations and Mayan artefacts that have been secretly tucked away in overhead alcoves. Relax by the stunning turquoise waters and white sandy beaches of Ambergris Caye, or participate in some of the many adventure sports that are readily available. Situated on the Caribbean coast of Central America, the country has a modest population of around 350,000. Once part of the British Empire, English is the official language. Definitely worth checking out are the fabulous September Celebrations. With a rich Mayan history still very much present in Belize – although, sadly a lot of the Maya population died as a result of disease and the violent conflict with Europeans - the Maya population in Belize is mostly located in the Cayo, Toledo and Orange Walk districts. However, in general, Belize boasts many cultures and languages worth exploring.